Every now and then, I get inspired by something I'd eaten at a restaurant. This is probably one of those rare occasions that I came away thinking that I can easily replicate a dish at home. 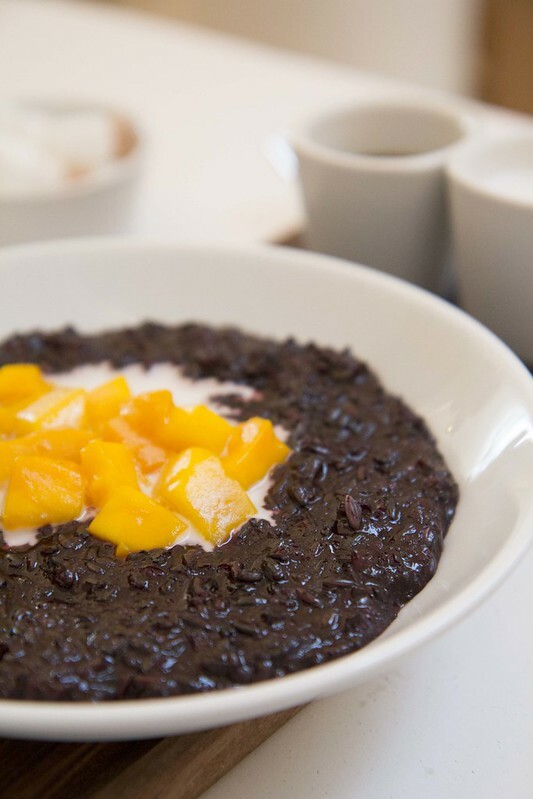 In fact, it only requires 4 basic ingredients - black rice, mango, coconut milk and maple syrup (or treacle or honey). 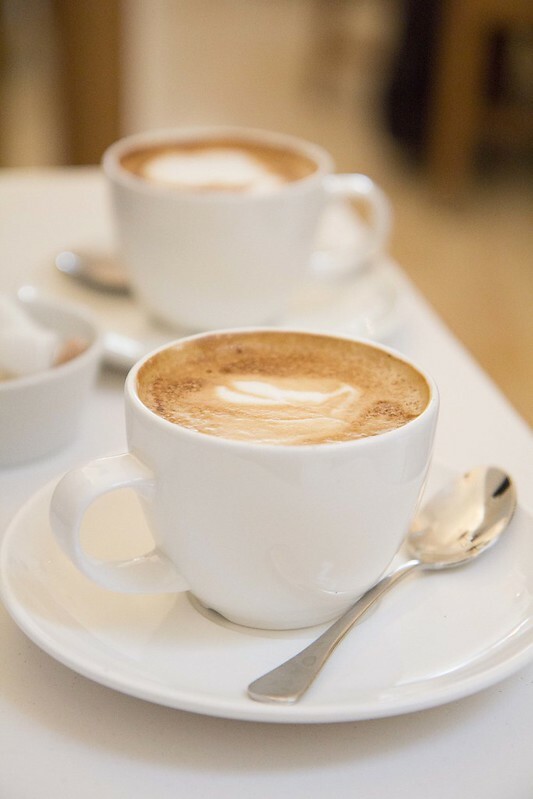 I had this at Nopi, my restaurant of choice with a friend and loved this relatively light breakfast option which wasn't heavy on the stomach at all, the way gluten and dairy can be. The texture is very similar to congee (Chinese rice porridge). Here's a surprising fact about black rice which I didn't know and probably explains why it costs far more than the ordinary basmati or jasmine rice. It is far more nutritious and actually tastes nutty and sweeter than the standard white rice. Apparently, black rice is considered a superfood. It contains far more antioxidants than blueberries as well as anthocyanins which helps to lower the risk of heart attack. In fact, I believe this recipe was heavily influenced by a fairly common Cantonese rice pudding dessert which I'd eaten on several occasions in New Zealand. It's a matter of boiling the rice with more water than usual to turn it into a congee (porridge) and then adding mango, coconut milk and maple syrup to taste. Do give it a go and let me know how you like it. It's actually available at Ocado (Organico Organic Nerone Black rice) or health food stores. Amazon has it with free delivery (http://www.amazon.co.uk/Organico-Organic-Nerone-Black-Rice/dp/B00A8G2LSU) too. I'd love to try that! Ahhhh - Nopi! That was such a wonderful little joint! We'll have to go back again the next time you're here.